Hello Friends everyone can't able to buy a brand new laptop this reason due to low budget. If you have low budget and want to buy best laptop so you can buy a second hand laptop which is comes in very low amount.Before taking the old laptop you have to take care of some important things. Here I am telling you 10 points which you should check before you buy old laptops. There is nothing wrong with taking a second-hand laptop. You should get the right thing and you can take a good laptop only when you are experiencing it.I will suggest you to know that before taking the old laptop you should know that your deal will be beneficial for you. Many Times we can get cheated while buying second hand products and we are given a useless or a poor device but if you take caution then you can find a good laptop.The tips below will help you. First of all you know that a person will save his device only when there is a problem with his device or he needs a money Mostly the user is trying to sell the product. Second hand laptop or newer you need to know before that what you need For example you can get 2GB of 4GB of RAM, CPU, STORAGE etc. for your work. And if you want to play a computer game then you have to make a difference in Graphics. I will give you 4 gab ramgaste If you are taking an old laptop with 2 GAB RAM then it is better than you do not take. It is better to have 4 gab ram for better and average speed. Also take a good company laptop. 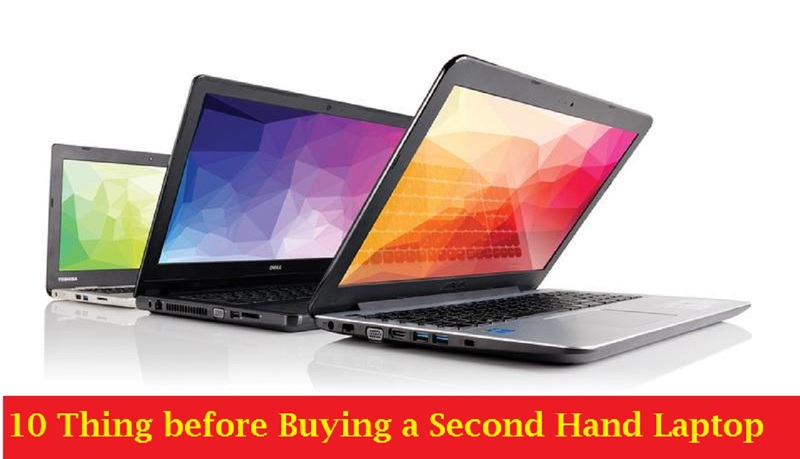 Secondhand laptop is the most important before you buy a laptop so that you check his body well and there is no crack. Laptop frames should be scratch and crack free. Also you can check the missing scarves luscious hingis and other irregularities. A second hand laptop brand should be a chipast from the new laptop then it has the advantage in taking it. So do research and the product you are taking is quite different from the new product. It is better to buy an old device with 10%, 20% discount price and you take a small amount of money and take it. Also do not take too much spec laptop in the chip price price. Before taking a second hand laptop check whether his keypad and trackpad is working correctly. Most laptops have a lot of turmoil in the laptop so check the chopchad better. Check the keyboard well enough to say that no one is broken and all the buttons are working in a municipality or not. Check the screen condition of laptop and check does it is work proper or not. also Check screen flickering, discolouration, brightness and bad pixels. Many times a screen problem occurs in the laptop or the screen gets damaged and because of that the user cures him by getting him repaired or local repairing and the buyer does not even know. Before taking a second hand laptop it is most important to know what the laptop battery life and heath is like. If laptop battery is not good You will not be able to work well on laptops. Charge the battery with full charge to see how much horse runs up to the maximum Also check the health details of the battery. There is a time when we get bored with laptop keypad and trackpad.In this way we can work on laptops using the external keyboard and mouse. So you can see the external mouse and external keyboard also put in the laptop and later know that if the extra plug is not working then there will be a lot of problems. Other than this you can also test USB ports, headphone jack, ethernet ports, HDMI, SD card slot, CD/DVD drive and other available inputs. 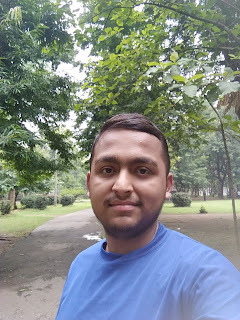 If the WiFi connection does not work in your laptop So It is not of any use because in today's time every user uses the internet and the net runs in the pocket only from his smartphone hotspot. So also check that the laptop you are taking in the laptop is connecting the WiFi network and you can run the internet. Most of laptops company can provide webcams mean camera mediocre. and very few people use it but still it is necessary that the webcam of the laptop is in the working condition. Also before purchasing the old laptop check the speakers properly whether they are working or not. I know Very few people use a laptop speaker but this comes when you do not have extra speakers. Laptop DVD Player Proof working is very important because without this you can't install motherboard repairing windows installation antivirus and other many software in your laptop. If you can afford to buy a laptop by keeping things mentioned above you can certainly find a good laptop and avoid your budget problem. One more important thing is buy a product from an unknown person around your area and buy it wisely so that the solution can be solved after having a problem later.